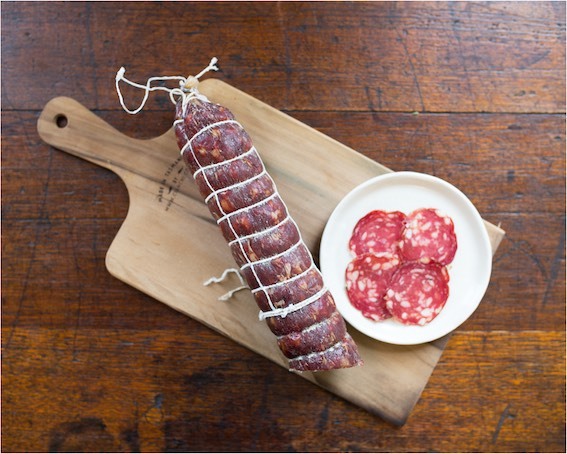 This salame is made for us in NSW by an old Italian man and his sausage machine...well not quite. It contains our Isola Chianina beef, pork fat (from Gippsland free range large black pigs) and spices. It is a mild salame and is gluten free. This can be really quite addictive. Whilst lovely thin slices will make a panini sing it can be hedonistically satisfying to cut a thick chunk and just eat it as is.